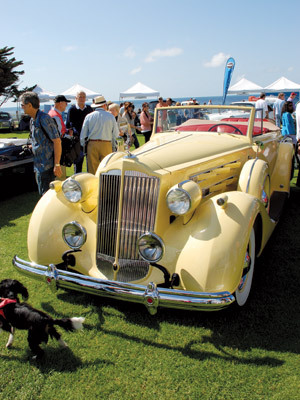 Most recognize the Concours through its La Jolla Motor Car Classic — a show that is open for public viewing — but the organization’s events encompass much more than that. The weekend begins with a Contemporary Classic Cocktail Party on Friday, in keeping with the 2013 “classic” motif. The next day drivers and spectators alike are treated to a 60-70 mile automotive tour of Southern California, where they get an exclusive look at the “Wolfpack” Squadrons Naval helicopters, as well as the chance to check out the Ferrari Challenge Race Team Trailer.But the crown jewel of the weekend’s events is the Concours d’Elegance car show on Sunday, 9 a.m. – 3 p.m. 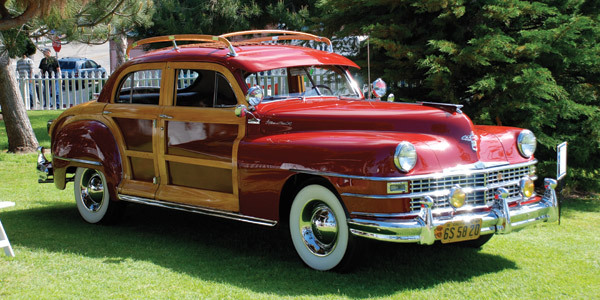 Guests that purchase a ticket ($35-40) to the car show will be treated to a display of pristine vintage automobiles. These include: Chuck Spielman’s Duesenberg Convertible Sedan Body by Murphy that took Best In Class at the 2011 Pebble Beach Concours d’Elegance; Paul Emple’s 1930 Isotta Fraschini 8A Flying Star Roadster, 1947 Delahaye 175S Cabriolet and his 1930 Minerva AL Van Den Plas Cabriolet; Ken Smith’s 1936 Delahaye 135 Competition Disappearing Top Convertible that took Best in Show at both the 2010 Quail Motorsports Gathering; Peter Mullin’s pontoon-fendered 1937 Delahaye Type 145 V-12 Coupe featured in Road & Track Magazine and Classic Driver Magazine; and a car from the Petersen Automotive Museum collection, which has showcased the famed Jonckheere “round-door” Rolls-Royce Phantom I Aerodynamic Coupe and Cadillac Ghia Coupe 1953, once owned by Rita Hayworth. Car enthusiasts and casual passersby are both invited to the return of the La Jolla Motor Car Classic at the Concours, expanding the show from the Ellen Browning Scripps Park into the La Jolla Village. This event is free and open to the public and will provide event attendees with a unique display of over 150 cars along with a stage providing a variety of entertainment and a children’s automotive area. 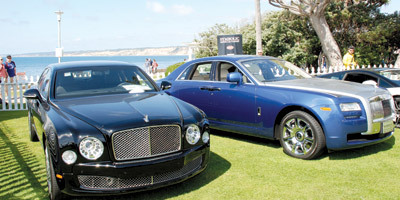 The La Jolla Concours d’Elegance has been growing in prominence for the last two years. 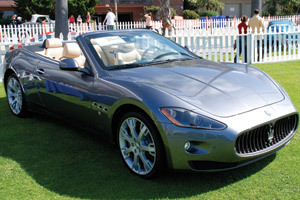 “The La Jolla Concours d’Elegance, with its serious judging and an excellent venue has everything it takes to be a first rate major Concours,” said Honorary Chief Judge Ed Gilbertson, former Chief Judge of Pebble Beach Concours d’Elegance. The funds raised at the 9th La Jolla Concours d’Elegance will benefit the Monarch School Project — which educates students who have been impacted by homelessness — and the La Jolla Historical Society, which preserves the history of La Jolla. Both organizations are 501c3 non-profits. To learn more information about the Concours, obtain a registration form or purchase tickets to the variety of events over the weekend, please visit LaJollaConcours.com or call 619-233-5008.